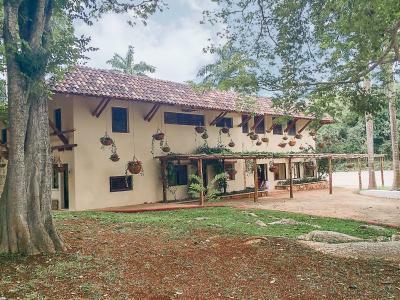 Lock in a great price for La Casa del Mago – rated 9.2 by recent guests! Very relaxed environment. Great dining area. Amazing breakfast. 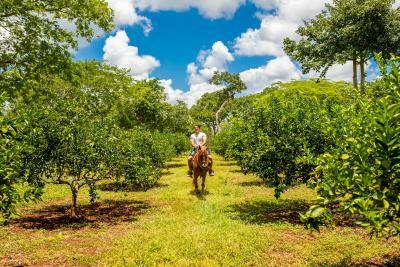 Close to Uxmal. Nice little pool area to cool down after a hot day of ruins. Hotel location, facilities, the pool, friendly staff. 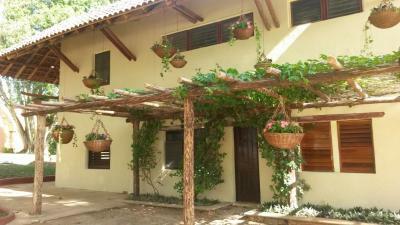 Quite charming bungalow, helpful staff, good breakfast, perfect location for Uxmal, just across the street. In one short sentence, we liked everything. The WiFi was not very good, but we came to get away from the electronics for the most part. We will recommend you property to our family and friends, and we definitely hope to come again and stay. The property where I stayed was gorgeous. Beautiful pool area with ancient columns and very tall palm trees along with a very polite iguana with a big smile. 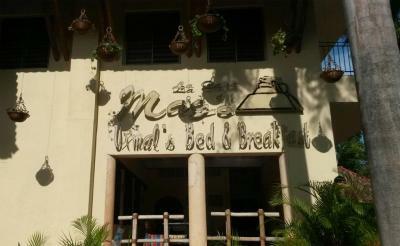 The staff were so nice and the breakfast on the patio was superb. The room was also very comfortable with nice furnishings. 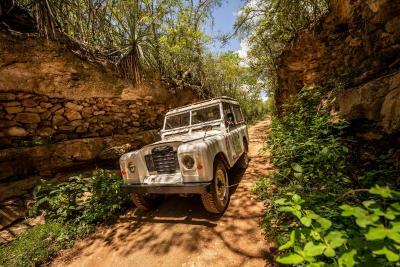 Uxmal ruins, just a short walk away, are incredible. Very friendly staff, the place is amazing! We enjoyed our stay very much! amazing!!! 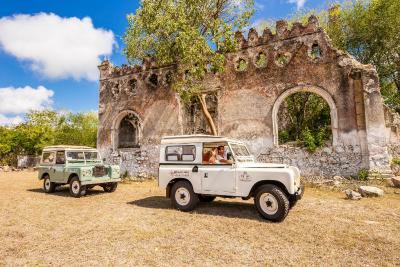 location cant be better, 5min walk to the sites and the surroundings are amazing! beautiful nature! would definitely book this again. and yes I also got the upgrade haha! 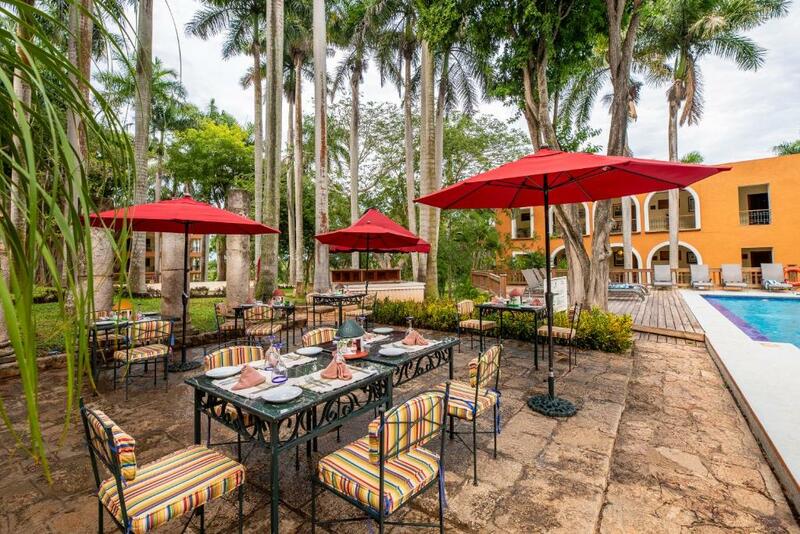 Set in gardens and directly across from the Uxmal Archaeological Site, 650 feet from the entrance, La Casa del Mago features an outdoor swimming pool and a restaurant. It offers a free continental breakfast and a 24-hour reception. Each bright room at La Casa del Mago has traditional Mexican décor. 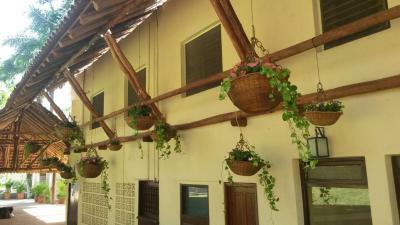 There is a terrace overlooking the gardens, a fan, desk and a private bathroom. Daily housekeeping is included in the price. 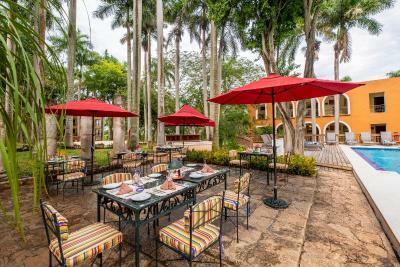 Guests can enjoy Mayan, Yucatecan and Continental cuisine in the restaurant right next to La Casa del Mago. Free Wi-Fi is available in the bed and breakfast's public areas. Busses to Mérida and Campeche stop outside the hotel. The beaches at Celestún and Celestún Natural Park can be reached in 2 hours by car. 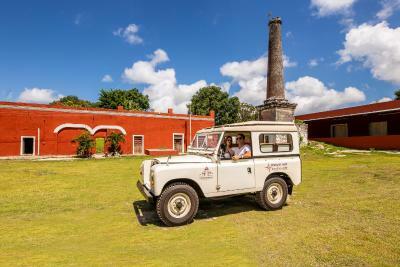 The hotel has an ideal setting for visiting archaeological sites on the Puuc Route. 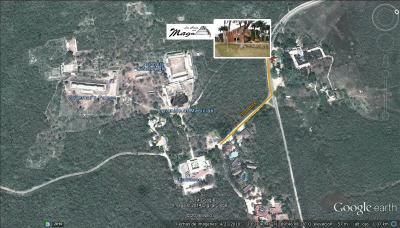 Kabah, Labna, Sayil and the Chocolate Museum are all adjacent to the property. 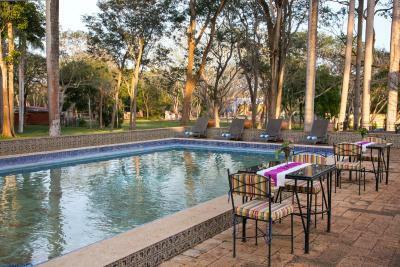 This property also has one of the top-rated locations in Uxmal! Guests are happier about it compared to other properties in the area. 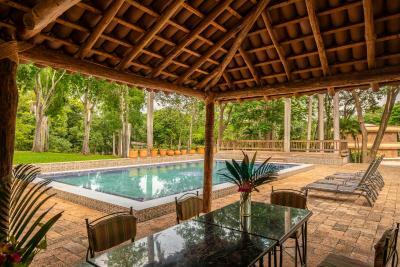 This property is also rated for the best value in Uxmal! Guests are getting more for their money when compared to other properties in this city. 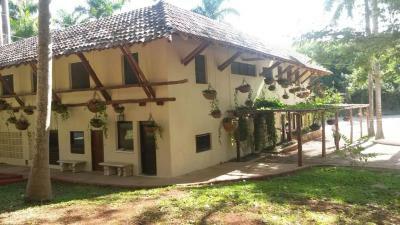 When would you like to stay at La Casa del Mago? This bright room has traditional Mexican décor. There is a TV, air conditioning, fan, desk and a private bathroom. This bright room has traditional Mexican décor. There is a TV, air conditioning, fan, desk and a private bathroom. This room is ideal for big families. 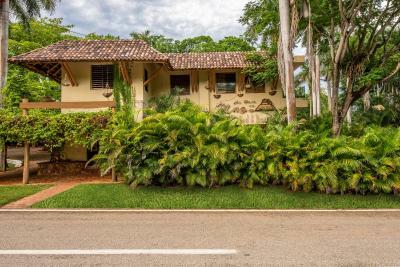 This traditional Yucatecan bungalow features 2 double beds. The private bathroom includes a shower and handmade toiletries. 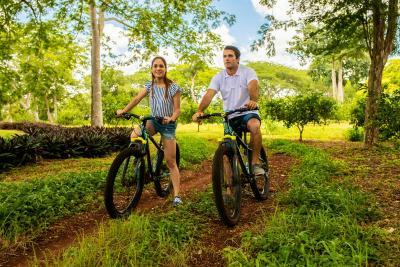 Located next to the Chocolate Museum and a 5-minute walk from the entrance to the Uxmal ruins, the bungalow is surrounded by trees and overlooks the tropical gardens. 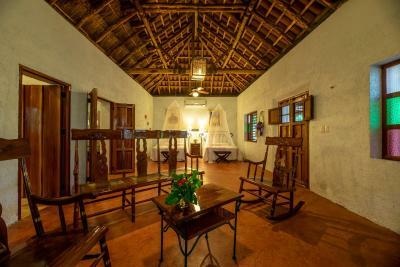 This traditional Yucatecan bungalow features air conditioning and a king-size bed. 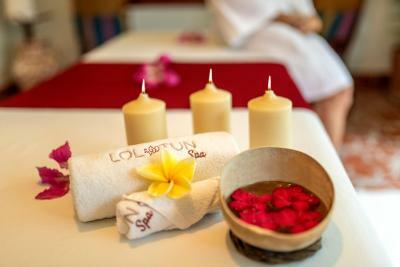 The private bathroom is located just outside the bungalow and includes a shower and handmade toiletries. 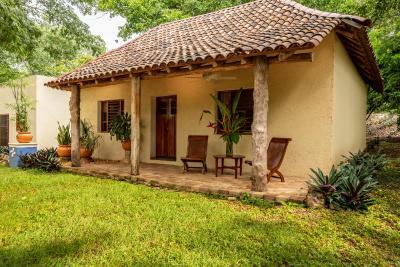 Located next to the Chocolate Museum and a 5-minute walk from the entrance to the Uxmal ruins, the bungalow is surrounded by trees and overlooks the tropical gardens. House Rules La Casa del Mago takes special requests – add in the next step! One older child or adult is charged USD 8 per person per night when using existing beds. La Casa del Mago accepts these cards and reserves the right to temporarily hold an amount prior to arrival. Wifi facilities were lacking. Cannot access from the room. You have to be outside in the common areas. nothing at Mayaland Resort, but we did not see Casa del Mago. 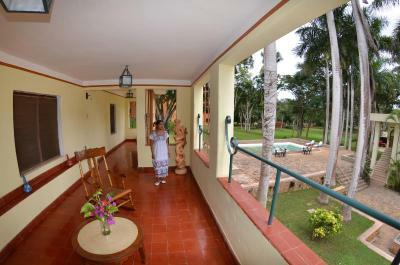 As many users we have been upgraded to the near Mayaland Resort, which is simply amazing on all possible levels. 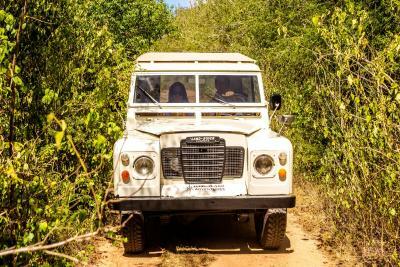 4mn walk from Uxmal site. Staying there was a paradise (high five to the super great breakfast). We received an upgrade for free to the main house which was very nice. Super breakfast. There are limited options for food, just the local restaurant on hotel premises, which is a bit pricey. We could not pay with credit card due to the internet. Room, service and location was very good! The pool area is also very nice. Shower wasnt very powerful. Bathtub not seated correctly in foundation. Cross talk between a/c unit and TV meant turning on a/c sometimes turned on TV. 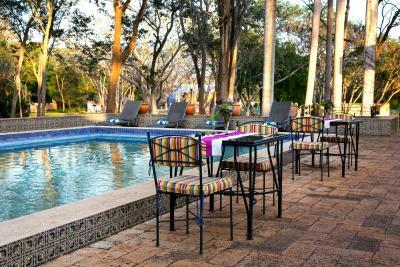 Perfect location for visiting Uxmal. Which is incredible. Hard to find, it's alternate label for the hotel on the grounds. While breakfast was good (and included in room rate), the dinner buffet was so-so and a terrible value and dinner staff wasn't really too friendly. Skip the dinner there go elsewhere. There is no other option to have dinner than at the hotel’s own restaurant. 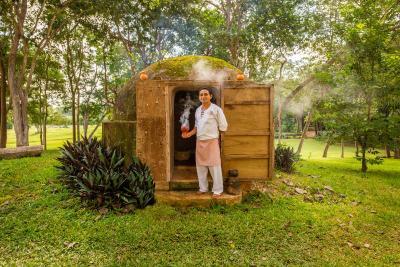 The food here is not really bad, but all our other meals in Yucatán were much better, and for a much better price. 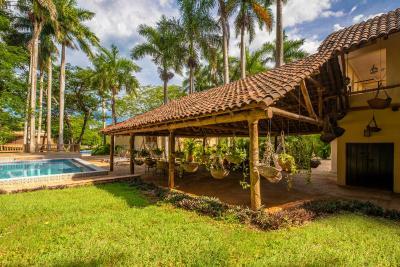 It seems that everybody who books at the Casa del Mago gets a room at the adjacent, more expensive and resort like Hacienda Uxmal. Our room was comfortable and airy. 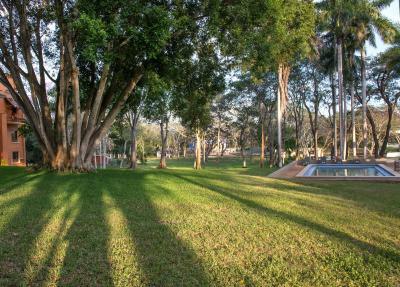 The rooms are located around a park with a great swinming pool and a bar. We liked the tropical singsong of the birds in the trees. The ruins of Uxmal are like nextdoor. 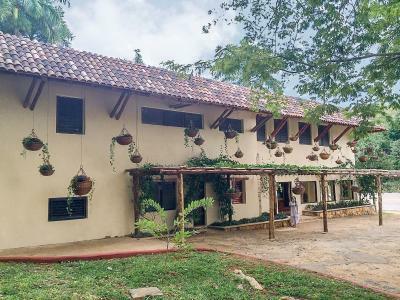 For the same money we got upgraded!such a important and significant place to stay,just few meters away from Uxmal archeological Park .We like it very much,very nice and welcoming people,amazing breakfast (best one till now).I totally recommend!!! I didn’t have any running water in the room and a night attendant (not part of the usual friendly staff) told me I had to buy water at the bar. But don’t let this dissuade you. This place is beautiful and restful.